Hello and Welcome to my next case study. 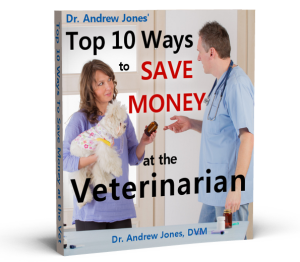 The lucky winners will get a copy of my NEW course, “How to Start With Healing Your Pets At Home”. You can get a trial bottle for 67% OFF, BUT this ends tonight. 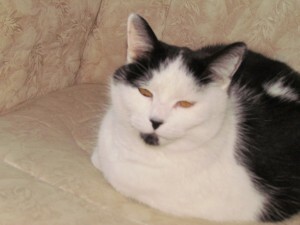 Gussie is an 13-year-old, spayed female domestic shorthaired cat. Gussie stopped eating three days ago. Limited urination or defecation, and she has lost weight. Based on the information, history and lab tests, what is your most likely diagnosis? What would you suggest as to the next plan of action to help Gussie recover? Sounds, unfortunately, like liver failure. I wish I knew the treatment options, because one of my kitties died from it two years ago. At the young age of 10 — very sad — still breaks my heart to think of Daisy and how she suffered. Liver disease. I would begin supplementing her with Denamarin. I believe this kitty has hepatic lipidosis. The most critical thing to do is to get food into it-tube feed it. As per gussie I think it could be Pancreatic Cancer Possible treatments include surgery, radiation and chemotherapy. It is Cancer in the cat’s blood. I would suggest putting the cat to sleep. Case study anorexic, dehydrates cat. It looks like she has an occlusion in the jejunum near the bileduct. Next step (money being no issue!) a CTscan or at least an Xray. liver disease / blockage (possibly hepatic lipdosis). provide intense immune support & nutrients (homeopathics & tube feed if needed). I think she may have hairballs in her stomach making her think she is full. I would try to force feed her some canned PUMPKIN, one bite st a time even in I had to use a syringe to get it down her throat. Do this a few times a day for two or three days and see if doesn’t correct her appetite. It looks like hepatitis or some serious liver disease. my daughter’s cat had same symptoms as this. she just stop eating and the treatment was sub q fluids and force feed very small amounts of high quality can food until she started eating on her own. it was fatty liver disease. for infection = Vits A, C, D.
Gussie has problems with her liver. An exact diagosis can’t be made with this inforamtion. It is not known with this information if it primary or the result of some other cause. With the yellow sclera, there is jaundice. I would start off with the fluids, and Denamarin, and frequent small feedings and see if she inproves. Imaging such as an ultrasound or liver biopsy may be needed. Sounds like Feline Hepatic Lipidosis or Fatty Liver Disease. She would need to be fed through a tube or syringe fed to gain back all of the necessary nutrients. I hope she feels better! I think she has uremic poisoning. Possibly hepatic disease. Confirm with liver biopsy while under light anesthetic. Force feed nutrients by tube done by vet, then by caretaker a formula prescribed by syringe for next 6 – 8 weeks.Then slowly try introducing foods to see if appetite has returned. Also could be cancer of the liver or pancreatic disease. I agree with most of the above that it is probably liver diease. Treating it would depend on the cause of liver disease. I would suggest (if cost is no object) an ultrasound and xrays. In the meantime sub Q fluids, milk thistle and if necessary force feeding to get her to start eating again. sounds like liver damage tumor or fatty liver. very toxic liver. I forgot to mention to force fluids a small amount at a time give pedialte for dehydration. maybe it could be cholangiohepatitis. Biopsy of the liver for proof. The kidneys and liver works together to push toxin out of the body thats why it important to push fluids either manual or IV. Again HBA Plus is a good liver detoxifier. I’d start treatment for FIP. I’d give 1/2 capsule of Nature’s Sunshine’s VS-C®. This viral-immune formula is a combination that Chinese herbalists would describe as a “metal-enhancing” formula. These herbs create an unfavorable environment for foreign invaders. Developed by Dr. Wenwei Xie, VS-C is exclusive to Nature’s Sunshine. It contains the following time-honored botanicals: dandelion root, purslane herb, indigo leaves and root, yplaspi herb, bupleurum root, pinellia rhizome, scute root, cinnamon twig, licorice root, ginseng root. Id also start the nosode for Feline Infectious Peritonitis which is now available as a homeopathic remedy. 30C potency in an economy 1 oz bottle of 800 Pellets. The FIP virus (FIPV) is very similar to the coronavirus that causes a transient, usually mild, self-limiting diarrhea (Feline Enteric Corona Virus, FECV). In fact, there is considerable evidence that FECV actually mutates to FIPV in individual. Suggested dose is 3 pellets at one time placed on top of moist food. Repeat 1 to 2 times daily as needed for symptom relief. Not knowing what all the tests are by just the letters, I would guess that it is a blocked bile duct, and that the next step would be to x-ray/ct/ultrasound or whatever, to acertain if it can be cleared, and go from there. If it can be cleared surgically, then post op milk thistle would help in the recovery of the damage to the liver. Obviously Gussie has an infection. Keep her hydrated, give her an ultrasound. Most likely kidney failure and/or liver disease. I’m not sure what treatment to give Gussie but good luck. 2. Fluid therapy and force feeding through stomach tube because he is not eating at all. Getting food (lots of high quality protein) into the body is the most important thing to do to reduce and reverse metabolic dysfunction and liver tissue damage (if caught early enough). Vet could supplement food with vitamin B complex, cobalamin, thiamine, vit E, L-carnitine & taurine. The owners could get a x-ray & ultrasound to see if liver is enlarged & contains fat deposits but ultimately, a biopsy is required to confirm disease. I don’t think there is an infection because the WBC is not very high. I don’t see the albumin nor AST levels listed. Symptom of jaundice and not eating, along with results showing high bilirubin, high ALP, low potassium and low range BUN, I would say it is Hepatic Lipidosis – Fatty liver. This cat needs nutrition… perhaps some parenteral nutrients – high protein w/ caloric density along with fluid and electrolytes. I would also add a holistic regime of Milk Thistle to the mix when possible. For further support after stablized, I would use VivoZeoComplete as an anti-inflammatory, an immunity builder, blood circulation enhancer and continued detoxifier. My guess would be hepatic lipidosis. Not eating consistently can result in the liver shutting down as it tries to mobilize fat for energy. Doesn’t work well in cats. Treatment is hydration and FOOD! I am no expert but my understanding of Gussie’s test results and the length of time she has been offf her food would indicate a liver problem with a secondary infection. WBC not high enough to imply cancer. I am presuaming that her mouth and throat were checked to see that nothing is stuck. I would not suggest a general anesthetic for an older ill cat but if exceptionally lethargic Gussie might be submit to an X-ray without anesthetic. Apart from Milk Thistle not sure of treatment but would suggest subcutaneous fluids immediately to hydrate. Get well soon Gussie. Does your cat have feline Leukemia? I would initially do an ultra sound to check her liver, kidneys, gall bladder, bile duct, pancreas and spleen for any blockage, inflammation and/or tumours. Treatment will depend on what is found. If nothing is found (as is possible)or to support her post-operatively, give her Milk Thistle (one eighth the adult dosage); 10mg of multi B vitamins; 1mg/lb of Choline (= 9mg for Gussie as she will presumably have lost a little more weight by now); an amino acid supplement containing: L-Cysteine 12.5mg, and 125mg each of L-Methionine, L-Glutathione, L-Arginine and L-Carnitine (these will help reduce the need for protein metabolism); if she has fatty liver disease, then a quarter teaspoon of lecithin will help fat metabolism; homoeopathic cholesterinum is especially helpful for bile duct obstruction or fatty liver disease – try 3x to start, but if this doesn’t work, change to 3C. (My thanks to Don Hamilton’s book Homoeopathic Care for Cats and Dogs for this information! )For rehydration, give 10ml of Pro-Ma Optimum Health Aloe Vera Juice (this has the bitter aloes filleted out and is palatable to animals and there is a distributor in Canada) every two or three hours until Gussie’s hydration is largely back to normal, then three times a day until she is fully recovered, and then 10ml daily ongoing. Long term she should be fed a diet lower in protein and fat than before her illness. I wish Gussie a speedy and full recovery and her human and animal family a less stressful time in future. hi, the diagnosis is liver disease, though there are no abnormalities found on palpation, but the jaundice is a clear indication. the liver is the organ to look at, and line of treatment will be to continue with lactated ringer, give appetite stimulants and place the cat on a low protein diet. Liver disease. Give her anti nausea meds. This should help her eat. Avoid excessive fat in food. Perhaps home prepare food. Give milk thistle. May also try Actigal. So what’s the answer — or did I miss it?